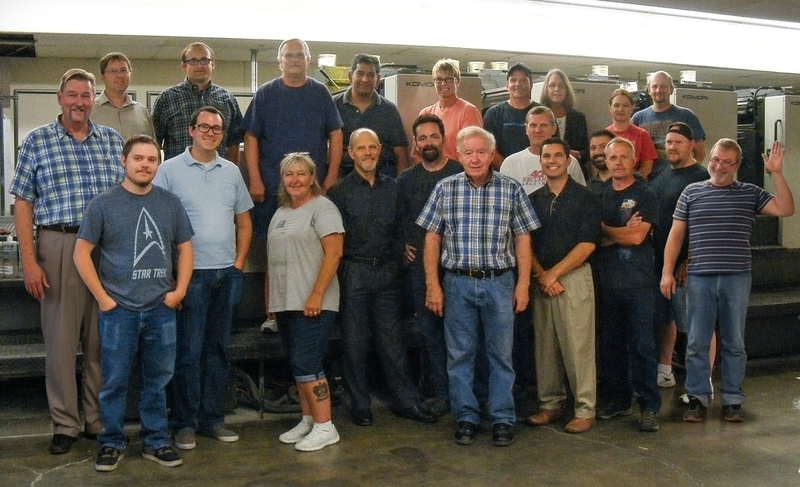 In 1970, after a decade of experience in the print industry, Harlan Knobel decided to go into business for himself and purchased National Printing. Later, he combined National Printing and Acme Stamp & Print and rebranded the company to National Color Graphics. NCG was one of the first printers in the area to offer full color printing. For over 46 years, NCG has served the Inland Northwest and beyond with premium quality print communications and exceptional service. Joined by his son, Chris Knobel, NCG is positioned to continue to be a leader in the print industry and is committed to make the investments to be a strong partner for their clients. Harlan Knobel purchases National Printing. National Acme Printing, Inc. rebrands as National Color Graphics, Inc.
National Color Graphics, Inc. moves to 25 W. Boone from 5th & Sherman. National Color Graphics implements Computer-to-Plate (CTP) technology. Heidelberg 28x40 6-Color press purchased. Komori 20x28 5-Color press purchased. FSC Certified / 10,800 sw ft. expansion construction finished. Harlan Knobel merges National Printing & Acme Printing forming National Acme Printing, Inc.
Our first 4-Color 14x20 Press. Heidelberg 20x28 4-Color press added. Chris Knobel joins to assist in business management. Komori 28x40 6-Color press purchased. 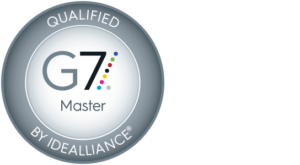 G7 Master Certified / 10,800 sq ft. expansion construction begins. We will do the right thing, always. Even if it hurts. We appreciate our team, and beyond making the wheels turn, their energy, experience and dedication are at the heart of who we are. Rest assured, we will go the extra mile. We strive everyday to meet the needs of our customers so, at the end of the day, they walk away happy and satisfied. we are the ones who feel truly blessed.